Love that feeling of hitting every single green light? That’s the feeling you get every time in the all-new Mazda Mazda3 from the specialists at Jeff Schmitt Mazda near Dayton. Get the Jeff Schmitt Advantage on your side today. Hitting the 10Best list at Car and Driver in 2016, the Mazda3 proves you don’t have to have a milk toast look in order to be economic and fuel-efficient. Sleek looking lines and aerodynamic characteristics in Soul Red, Blue Reflex, Liquid Silver or whatever lush color you choose, makes this 4 door stand out from the crowd. Not only is it easy on the eyes, it’s just plain fun to drive. Performance is key and you won’t be disappointed with the SKYACTIV Technology exclusive to Mazda. Their goal was to bring together efficiency, and better environmental performance. Starting with a blank slate, designers set to work creating a balanced attack as they engineered select models to come together to achieve their vision. These reimagined vehicles create a fun, fuel efficient experience. From engines to construction Mazda set a new standard in automobile making. While you enjoy the ride you can enjoy their latest safety features as well, the i-ACTIVESENSE. Nine different technologically advanced safety features make your Mazda3 smarter than the average bear, and most cars. You’ll find features that you only dream of at luxury levels. From Radar Cruise Control with close proximity warning to Forward Obstruction warning, this is the car designed to help keep you safe on the road as you enjoy the ride. When you come in to Jeff Schmitt Mazda with the new Mazda3 on your mind, we’ll get you behind the wheel and take it out for a test drive. Our dedicated team members are here to make your driving and buying experience as easy and hassle-free as possible. Customer are our top priority. This is demonstrated with superior customer service, and attention to their needs. You don’t have to go off doing endless price comparisons with our wide selection of vehicles at prices that work with your budget. 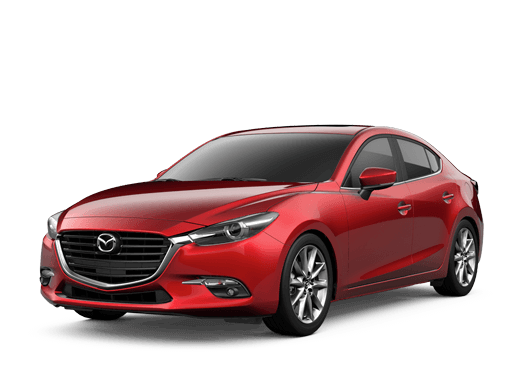 Begin your search for a new Mazda 3 on our website, or give us a call at 855-507-2078 for an appointment today. Questions? Please speak with our trade advisor for more information. Why Buy From Jeff Schmitt Mazda? We believe in taking care of our valued customers with honesty, integrity and an absolutely amazing selection of new and pre-owned vehicles. We'll work to earn your business the right way - not with flashy gimmicks, but by putting your needs first every time. For years now, we've been the Miami Valley's leader in Mazda sales, service and selection. That's because we're driven - not by money or profits, but by your absolute satisfaction. If you take the time to make Jeff Schmitt Mazda your first visit, we'll give you all the reasons you need to make us your last visit as well. From the moment you arrive, we'll have your back, and not just because that puts us closer to your wallet, either. We want show you that it really is possible to find a car dealer you can count on for all your automotive needs. We'll be there to guide you to the perfect vehicle and financing options; and we'll continue to be there to care for your vehicle, keeping you worry-free all the while. Come and see just what the Jeff Schmitt Advantage can do for you. We promise, you won't regret it. The pros at the Jeff Schmitt Auto Group work hard to serve the Miami Valley the right way, with expert focus and dedication to your individual needs. We pride ourselves on our ability to offer high-quality vehicles, like the new Traverse, and superior service to drivers all over the Dayton area and beyond. We'll always do our very best to get you in the vehicle you want, with the financing you need. Then, like the icing on top of the cake, we'll pack on the value with our exclusive Jeff Schmitt Advantage. You'll love the difference here at Jeff Schmit Mazda. Take a look at our incredible selection to find your perfect new Mazda3 today. Yours is waiting right here at Jeff Schmitt Mazda. A top performer like the Mazda3 stays around a while. That's why we keep a diverse selection of pre-owned models to choose from. 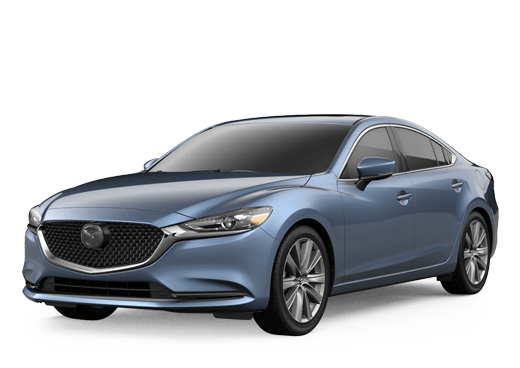 Browse our expansive selection of brand-New Mazda Models online; right here on our user-friendly website to begin shopping for your new Mazda, all within the comfort of your own home. Our expert and dedicated Mazda product specialists are available either over the phone at (855) 507-2078, or online via chat and email to answer all your questions. Feel free to drop us a line anytime. Our customer service specialists are always at the ready to exceed your expectations. We can’t wait to offer you first hand experience in all the ways the new Mazda3 will better serve you and yours, so get the Jeff Schmitt Advantage on your side today, and get behind the wheel of your own new Mazda3.